TimWes records the song "Unborn Child ? originally by the late rapper, Tupac Shakur ? in the closet studio of producer Dang Dizzle. 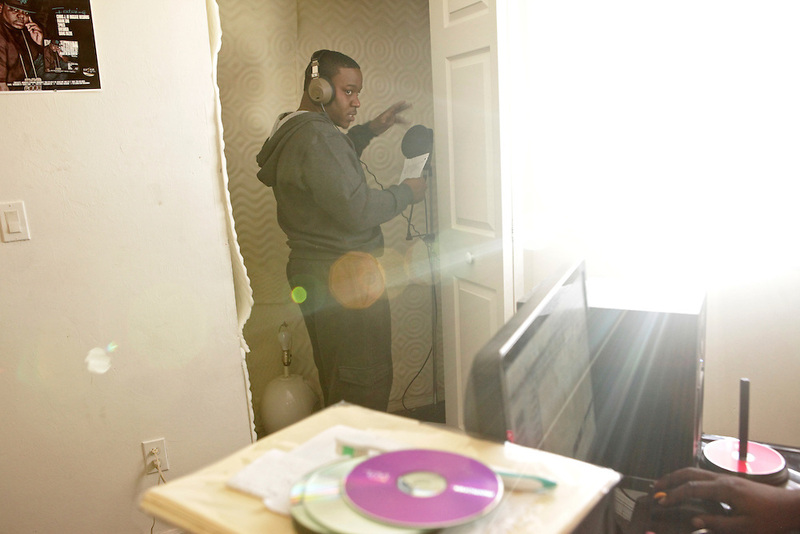 Dizzle's studio is a room he rents from his sister-in-law in Lehigh Acres, Fla. TimWes, who is expecting his first child, calls himself Mr. ReceiptMoney, meaning he makes his money the legal way. "I'm in my own lane. I'm not competing," he said comparing himself to other rappers. "I'm the only one talkin' bout legal money."